Entice is at Fantasy Faire with some new releases! 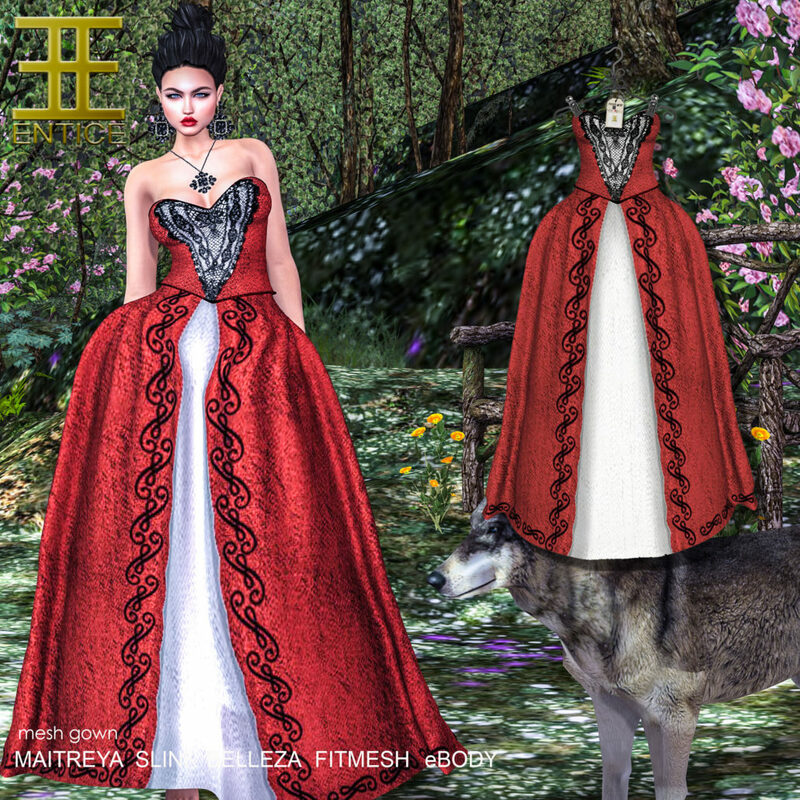 The first item, “Dragon Queen” which comes in Maitreya, Slink Hourglass and Belleza Freya sizes includes a top, skirt and arm bracers. There are eight colors to choose from or a HUD of 10 colors (2 bonus colors are in the fatpack only) with customization options. The next items are “Carmina Burana” in “RedWhite” and “BlackPink” which both come in Maitreya, Belleza (Freya, Isis, Venus), Slink (Physique, Hourglass), eBody and Classic Fitmesh sizes. These gorgeous dresses are both 100% donation from sales to Relay for Life! http://entice.fashion/wp-content/uploads/2018/04/ff18_poster-1.jpg 750 530 Jolene http://entice.fashion/wp-content/uploads/2016/11/NEW-ENTICE-LOGO-Header-3.png Jolene2018-04-20 19:31:572018-04-20 19:32:53Entice @ Fantasy Faire! Entice @ The Trunk Show! Entice Advent Calendar - December 22nd! Entice @ The Trunk Show! Entice @ Cosmopolitan Room!